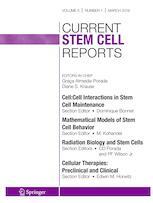 This journal publishes cutting-edge reviews on subjects pertinent to all aspects of stem cell research, therapy, ethics, commercialization, and policy. The contents are distinguished by their incisive, insightful, and balanced contributions from leading experts in each relevant domain. Leading authorities serve as Section Editors in key areas spanning the discipline, choosing topics for review by expert contributors. These reviews, along with commentaries from well-known figures in the field, will benefit a wide readership of clinicians, basic scientists and translational investigators.